Most Iconic moment in comics! 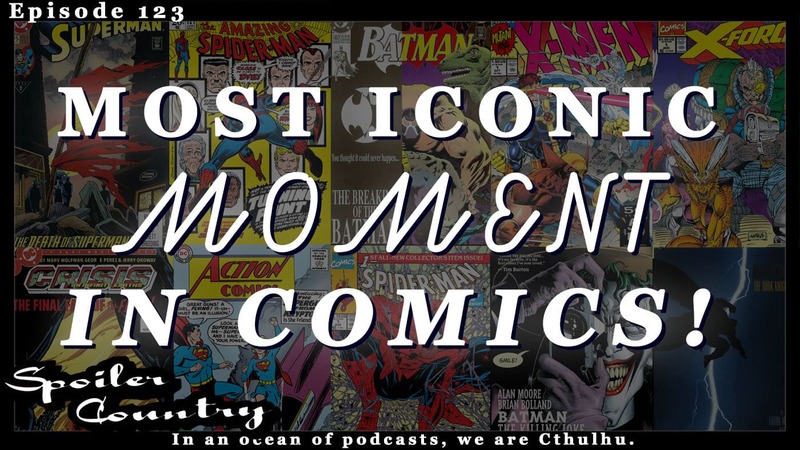 In what started to be a conversation about the stop selling comics of the 90’s – now, we ended up having a conversation on the most iconic moments in comics! Was it the Death of Gwen Stacy? The Breaking of the Batman? The Death of Superman? The introduction of some character? Listen a long and find out what we think! ← Jaimie Cordero with Espionage Cosmetics at Rose City Comic Con 2018!